Hello, I have a Huawei P8 with Android 6.0 installed. When I use AirDroid I can't see my external MicroSD. I have already tried all the instructions I found on the forum, but the app AirDroid does not see the external MicroSD. 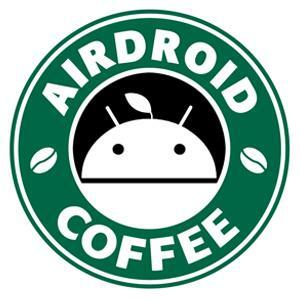 I use AirDroid 3.1.6. Already tried to uninstall and reinstall the app but didn't work. Can someone help me please? Have you told AirDroid the right path of extSD? More details: [Help & FAQ] How to Manage Files Saved to External SD Card on Android 5.0+? hello, i have tried but unfortunetely it didn't work. Android 6.0 needs additional code in AirDroid to grant access to the external "SD CARD", so the user has to confirm the access at least once for the application. There is no known way to get it working, until devs are doing the described, additional code for it. The way accessing the external "SD CARD" simply went to a complete other direction at Marshmallow (Android 6.0). @Riccardo: With "SD CARD", you won't get into your external one. You need to have the button for it separately. So until the devs don't fix it for Android 6.0, it won't work. Simple. Android 6.0 necesita un código adicional en AirDroid para otorgar acceso a la "TARJETA SD" externa, por lo que el usuario debe confirmar el acceso al menos una vez para la aplicación. No hay forma conocida de hacerlo funcionar, hasta que los desarrolladores estén haciendo el código adicional descrito para ello. La forma de acceder a la "TARJETA SD" externa simplemente tomó otra dirección completa en Marshmallow (Android 6.0). @Riccardo: con "SD CARD", no entrarás en la externa. Necesitas tener el botón para eso por separado. Entonces, hasta que los desarrolladores no lo arreglen para Android 6.0, no funcionará. Sencillo.